Follow God’s process for growth and learn how you can benefit from life’s challenging experiences with this book by bestselling inspirational author T.D. Jakes. 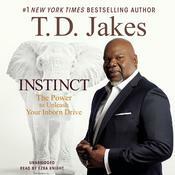 In this insightful book, #1 New York Times bestselling author T.D. Jakes wrestles with the age-old questions: Why do the righteous suffer? Where is God in all the injustice? In his most personal offering yet, Bishop Jakes tells crushing stories from his own journey-the painful experience of learning his young teenage daughter was pregnant, the agony of watching his mother succumb to Alzheimer’s, and the shock and helplessness he felt when his son had a heart attack. Bishop Jakes wants to encourage you that God uses difficult, crushing experiences to prepare you for unexpected blessings. If you are faithful through suffering, you will be surprised by God’s joy, comforted by His peace, and fulfilled with His purpose. Crushing will inspire you to have hope, even in your most difficult moments. If you trust in God and lean on Him during setbacks, He will lead you through. 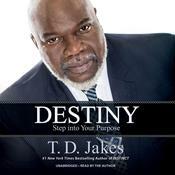 Bishop T. D. Jakes is one of the world’s most widely recognized pastors and a New York Times bestselling author of over thirty books. Named by Time magazine as “America’s Best Preacher,” his message of healing and restoration is unparalleled, transcending cultural and denominational barriers. 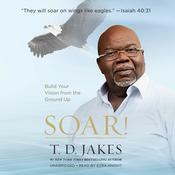 Jakes is the founder and senior pastor of The Potter’s House, which has a congregation of over thirty thousand. 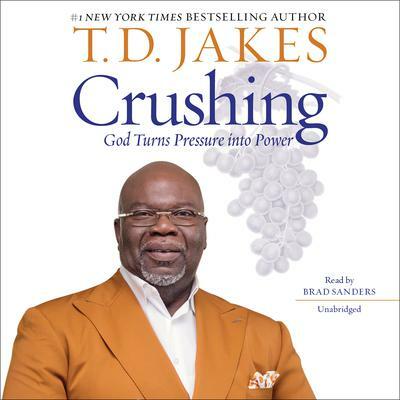 His weekly television outreach, The Potter’s House, and his daily television program, The Potter’s Touch, have become favorites throughout America, Africa, Australia, Europe, and the Caribbean. Jakes lives in Dallas with his wife, Serita.